I love soup in the cooler months. 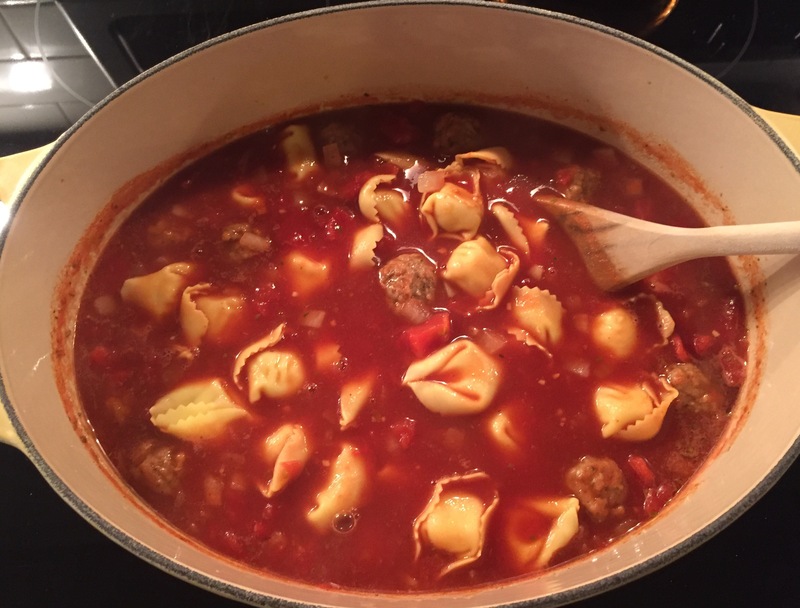 We don’t have many of those here, so I like to make the most of “soup season” while we can. This is one of my favorites and talk about quick and easy! It’s very hearty so even big appetites will fill up, especially if you add a mixed green salad and a crusty bread. Voila, dinner is served! 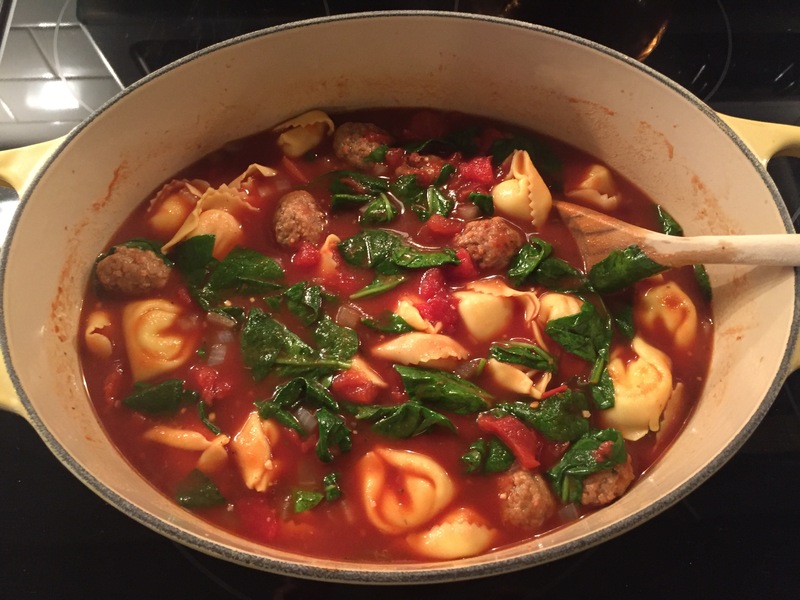 Begin by warming a tablespoon of EVOO over medium heat in a large, deep pot or Dutch oven. 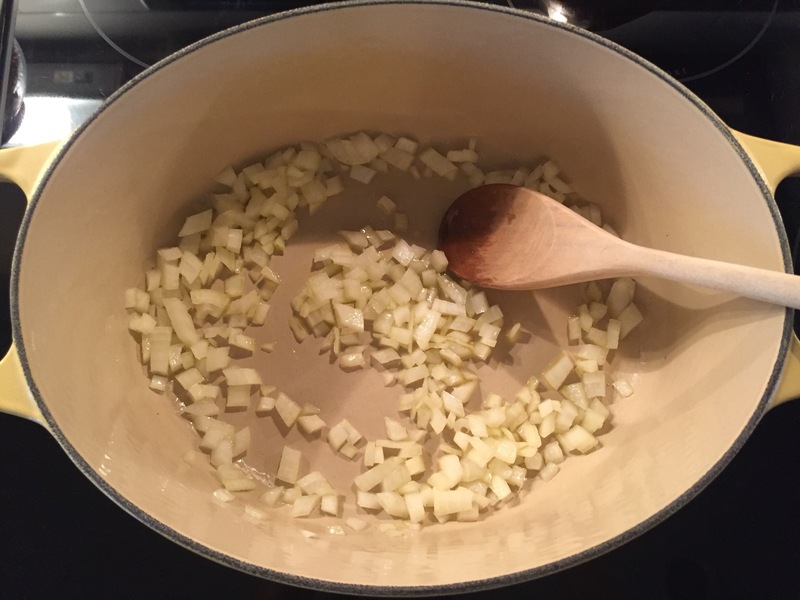 Sauté a medium onion until soft (about 5 minutes) and then add in a teaspoon of minced garlic and cook for an additional minute. 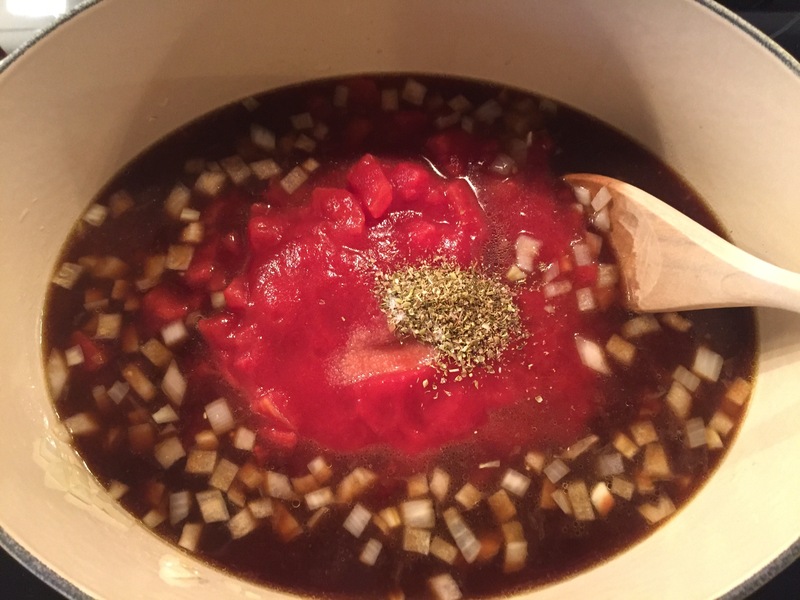 Now add in 2 cups beef bone broth, 28oz can undrained diced tomatoes, 8oz can of tomato sauce, 1/2tsp salt, and 1/2tsp of oregano. 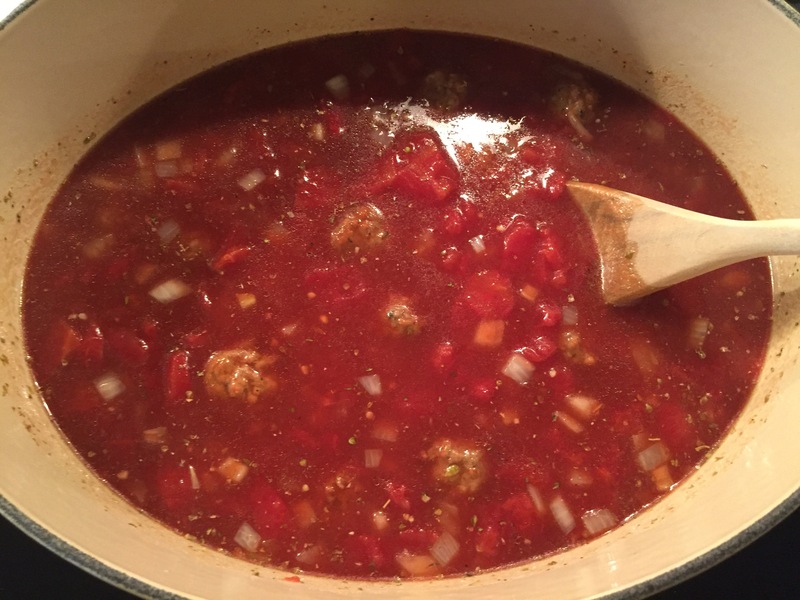 Add in 20-25 frozen, Italian style mini meatballs and let simmer for 15 minutes. 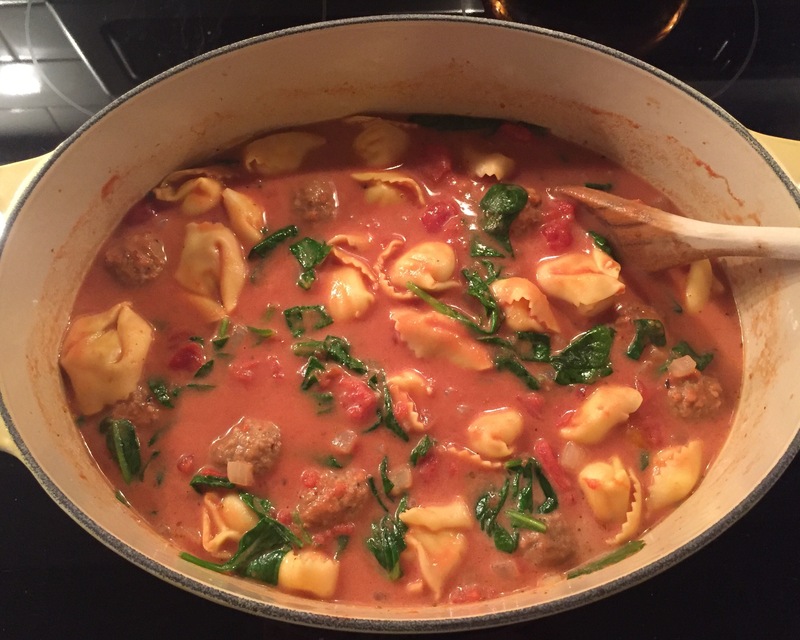 Now add in 3-4 cups of pre-cooked, refrigerated tortellini. They only need to cook for a couple of minutes to become al dente. Stir in 2 big handfuls of baby spinach. Once the spinach wilts, remove from heat.